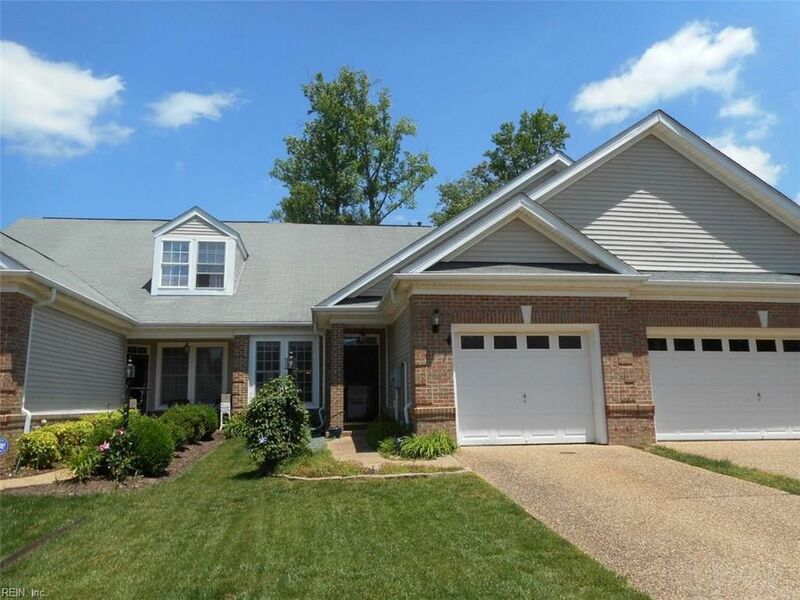 Well cared for Carriage home located in the Arthur Hills section in Colonial Heritage has 3 bedrooms and 2.5 baths. Living Room/Dining Room combo has a vaulted ceiling and hardwood floors. Cozy Family Room with hardwoods and corner fireplace. Darling Sun Room has Travertine flooring and access to the deck and fenced backyard. Kitchen has solid surface counters and gas cooking with newer appliances. 1st floor Master suite with renovated bath. 2 bedrooms and Loft up with hand-scraped hardwood floors. Premium lot overlooking the woods. Fenced in backyard and deck. 1 car attached garage. Active adult over 55! Directions: Arthur Hills Drive to Right on Sprucemont.